In a recent Rasmussen Reports Poll, voters stated that they believe economic growth is more important than economic fairness. With the 2016 election season promising to have wage equity on the front burner for the Democrats, this may not be the best news for them. The current results are also in the wake of a spate of protests calling for radical minimum wage increases - the now infamous $15.15 demands - which could indicate that the message is not resonating well with voters. A new Rasmussen Reports national telephone survey finds that 52% of Likely U.S. 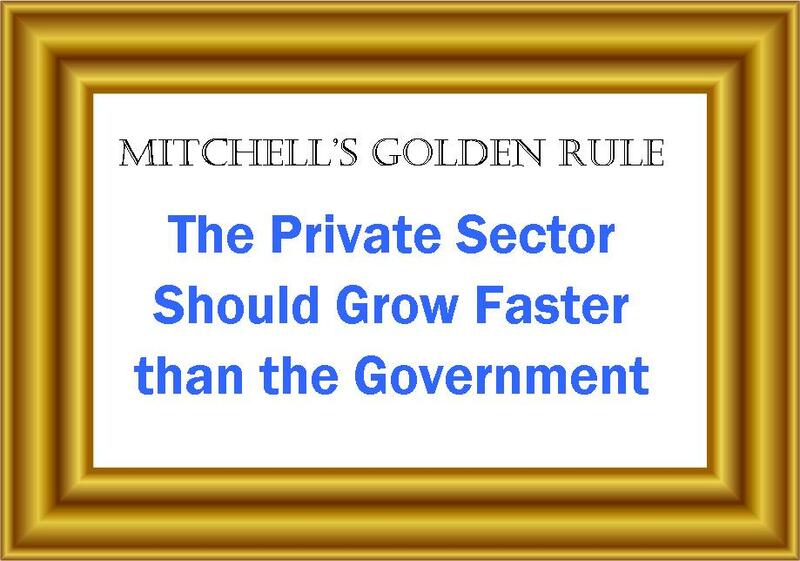 Voters say that economic growth is more important, while 39% say that economic fairness is more important…. economic fairness. Ninety-three percent (93%) of voters say that policies that encourage economic growth are at least somewhat important, with 65% who say such policies are Very Important….That compares to 78% of voters who say policies which encourage economic fairness are somewhat important, with 53% who say such policies are Very Important. Who Does the Chamber of Commerce Work For? For several years, Josten has pressed the case that the federal debt, and in particular the tab for retirement programs, is an urgent concern for business, even if executives don’t see its effects firsthand the way they do for more traditional business worries such as taxes or regulations. This was originally posted at International Liberty. This was orginally posted at Mitchell’s blog International Liberty. It is particularly relevant as we watch the un- and underemployed vent their frustrations in Baltimore. ~ Ed. A nation’s prosperity is determined by the quantity and quality of labor and capital that are productively utilized. Which means that it doesn’t make sense to have policies that penalize either saving and investment or working. Yet that seems to be the favorite hobby of the political class. And there are real consequences. A new study by a pair of economists, published by the National Bureau of Economic Research, has some interesting findings on the link between redistribution programs and labor supply. It’s a bit wonky, given the way academics write, but they produce some important data on the negative unintended consequences of government dependency. Earlier this year, President Obama proposed a budget that would impose new taxes and add a couple of trillion dollars to the burden of government spending over the next 10 years. The Republican Chairmen of the House and Senate Budget Committees have now weighed in. You can read the details of the House proposal by clicking here and the Senate proposal by clicking here, but the two plans are broadly similar (though the Senate is a bit vaguer on how to implement spending restraint, as I wrote a couple of days ago). So are any of these plans good, or at least acceptable? Do any of them satisfy my Golden Rule? Here’s a chart showing what will happen to spending over the next 10 years, based on the House and Senate GOP plans, as well as the budget proposed by President Obama. The debate over Congress raising the minimum wage nationwide is all about numbers. What the rate should be, how many people it would help, how many jobs it would cost, how easy it would be if Evil Rich People just surrendered their money instead. But at least one of these numbers is horribly skewed, resulting in a false narrative about how many people are scraping by on pennies an hour. The latest brick in this narrative construction project is a report from the Institute for Policy Studies showing that if all the bonuses given to Wall Street bankers were instead distributed among people working minimum wage full time, their income would double. Wow! Let’s do that! For the children! Quick, grab your pitchfork, I’ll get my torch! The report cites 1,007,000 as the number of people working full time making the current federal minimum wage of $7.25 or less. Is that right? IRS data for 2013 shows the number of people working 35 hours per week or more at or below hourly minimum wage to be exactly that number. But there’s a huge problem with that figure - it includes people who get tips. Waiters and other tip-paid professions have a different minimum wage than most other hourly workers: currently $2.13. “What? How can anyone live on that? !”, you might gasp. They don’t, of course. $2.13 is only the base salary they are required to be paid. They are paid tips based on their performance on top of that, which usually adds up to much, much more than even the standard $7.25 minimum wage. 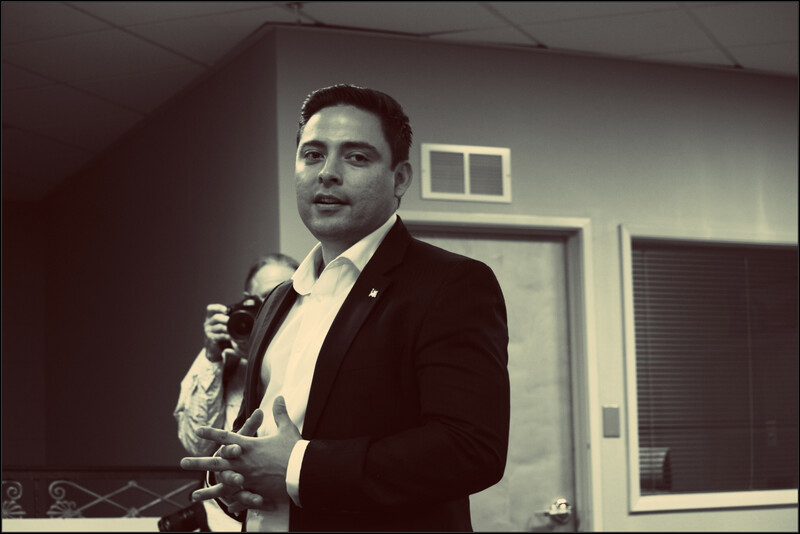 During Arturo Alas’ congressional campaign HQ grand opening in Covina, California, I had the opportunity to chat with the Republican candidate running against Rep. Grace Napolitano (D-CA) to represent California’s 32nd congressional district. After a surprising top-two primary win, Art Alas hopes to win in November with his free market and constitution-loving message. The incumbent, Grace Napolitano, has been in Congress since 1999, and many in her district appear to disagree with her on several important issues such as the U.S. role in the Syrian civil war. Could the residents of Covina be persuaded to give a Republican a try? The last Republican politician to have represented the district was Craig Hosmer, who left office in 1974. United Liberty: What motivated you to run for Congress? It isn’t news to conservatives that government programs do not reduce poverty levels. What is news is that 49% of Americans apparently believe that not only do government anti-poverty programs fail, but they also may increase the level of poverty. A recent Rasmussen poll also pointed out that people that personally witness what happens when people receive government assistance are more likely than those that don’t to believe that anti-poverty programs actually increase the poverty level. While these findings are trending slightly lower than results from previous years, it is still a sign that the public may not believe that the government can resolve the issue of poverty through assistance programs. A more profound indication of that belief is seen when people stated their thoughts about the number of people receiving government assistance - 67% believe that too many people are dependent on the government. Additionally, 62% believe that the government needs to be smaller, offering fewer programs. The same percentage of adults are keeping up with government program issues in the news. These are excellent numbers for conservatives, if they can manage to deliver a message that the public wants to hear. Theoretically, the public is ready to see changes in anti-poverty programs. The problem isn’t selling the concept of welfare reform - it is with offering an alternative that isn’t perceived as harmful to the people that truly need assistance. This shouldn’t be extremely difficult, because 64% of Americans think that too many people that do not actually need assistance are receiving it. Business owners will do anything to make sure their businesses are successful. A strong feeling of apathy, sometimes, is the natural consequence of having experienced too many obstacles in the process of getting your idea off the ground. Every now and then, would-be entrepreneurs become frustrated and walk away. Others end up looking for diverse, creative ways of getting around what they deem too complicated. What all business owners have in common is the urge to make things happen: a kind of acute dedication harbored only by people fired up by a strong sense of purpose. They are everywhere, from your favorite food truck’s owner to Tesla Motors’ Elon Musk. They will go to great lengths to get things done. While on my trip to Detroit for a series of panels and interviews facilitated by the Virginia-based Franklin Center, I had the opportunity to talk to the owner of a small tavern in the downtown area known as Greektown. The Firebird Tavern, Tony Piraino said, had gone under a series of small changes to its structure to please the ever-changing city health codes. Every now and then, the city’s health inspector appears to come up with a new thing the owner must do to make sure the place is up to date with the local regulations if he wants to continue to operate legally. The latest changes, however, cost Mr. Piranio a couple of thousands of dollars. A quantity of cash not all small business owners have at their disposal with ease. And what was so pressing that needed such an urgent change? The doors inside of the tavern, which is housed by a Victorian style building with creaky wooden floor and charming, thick, exposed brick walls, needed panic bars. Were the doors not opening and closing before that just with a slight push? Obamacare’s latest victims are not women, the poor or even the elderly, but young, healthy and carefree college students. Students at the University of South Carolina are in for a treat once they find out their schools’ tuition is going to cost them considerably more next year. The surprise will be even harder to assimilate once they learn that the Affordable Care Act is responsible for the increase. The school claims that a tuition increase rate of 3.2 percent is necessary to help cover for the almost $18 million it needs to come up with to cover for the state-mandated employee pay raises, implementation of Obamacare and retirement benefits. While the school is blaming the state for imposing the mandates without providing financial assistance first, it is also urging parents and students to understand their situation. The heavy-handed health care regulations and the increasing mandates regarding pay raises destined to employees are driving the tuition costs up and putting the school’s livelihood on the line. But the University of South Carolina is not the only large employer suffering the consequences of the mandate. Under ACA, large employees are required to offer health coverage to any employee who puts in more than 30 hours of work a week. If employers are not able to meet these requirements, they are forced to pay a $2,000 fine per employee. In many cases, companies prefer to go for the fine and end up ditching coverage altogether, leaving employees to search for health care insurance independently. This unintended consequence of the law’s employer mandate has been adding further financial burdens to hard-working low- and middle-income Americans.